My book project, Distant Readings of Disciplinarity: Knowing and Doing in Composition/Rhetoric Dissertations, maps the methods and content of over 5,000 dissertations in Rhetoric / Composition / Writing Studies in order to determine the areas of expertise by which graduate students signal their entry into the field, and what that can tell us about the shifting nature of the field from place to place and decade to decade. Combining qualitative coding with quantitative and computational analyses, and presenting its findings in part through interactive data visualizations, it develops a broad cross-institutional context for local curricular decisions. I find that subject matter varies widely, while dissertation methodologies collocate within a small number of clusters, and I call for increased dialogue among schools focusing on these different methods and subjects. An article based on a portion of this work, “Mapping the Methods of Composition / Rhetoric Dissertations: A ‘Landscape Plotted and Pieced’ ,” was published in College Composition and Communication in September 2014. Source code is available at https://github.com/benmiller314/Dissertation-Research, and early iterations of figures are online at majoringinmeta.net/dissertations. 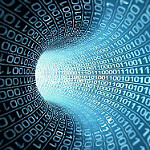 I have begun working with Amanda Licastro of Stevenson University on a new edited collection, Composition as Big Data. Recognizing that computational analysis of large data sets has changed the way information is produced and processed, and that many institutions and writing programs are adopting software that digitally archives hundreds or thousands of student compositions, we ask: What is our responsibility, and what is the potential, in harnessing big-data methods as composition researchers, teachers, and administrators? Authors are invited to submit abstracts for chapters that focus on the rhetoric, methods, and findings of recent large-scale data studies of writing. We are especially interested in contributions that include replicable practices and/or detailed descriptions of method, with an eye toward graduate-level research, teaching, or administrative applications in the intersecting fields of digital humanities, linguistics, and composition. The full Call for Submissions is available at bit.ly/comp-as-data-cfp; proposals are welcome through August 1, 2017. Image credit: big-data_conew1 by luckey_sun, under a CC-BY-SA-2.0 license. 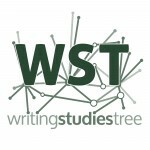 The Writing Studies Tree is an online, is an online, crowdsourced database of academic genealogies within writing studies; in other words, it is an interactive archive for recording and mapping scholarly relationships in Composition and Rhetoric and adjacent disciplines. In my role as lead developer, I have designed the data architecture, tested a number of different platforms before settling on Drupal, built out and maintained the Drupal backend, and coordinated with programmers and my partners in directing the development of new features such as the D3 visualizations and filters. I was also the lead writer, with Amanda Licastro, on several grants, including three successful awards (in 2012, 2013, and 2014) from the Provost’s Digital Innovation initiative at the CUNY Graduate Center. Using that grant funding, I am currently seeking consultants and developers in user experience design, a subject on which I have been reading and sketching out ideas. Please contact me if you are interested in working on the Writing Studies Tree! As part of the founding editorial team of The Journal of Interactive Technology and Pedagogy, I helped to craft the mission statement and review policies of this open-access online journal, which released its first issue in February 2012. Committed to the idea that the journal should promote learning experiences throughout its processes as well as its products, as coeditor (with Joseph Ugoretz) of Issue Two I introduced the “Behind the Seams” feature, which opens a reflective space for conversation about feedback and revisions that are often hidden for publication. We envision this feature working over time to create still further transparency, with navigable drafts and reviewers’ notes. I also encouraged reviewers to use the second person in addressing authors, to build investment in their ongoing improvement as writers. An active member of the editorial collective, I have served as reviewer, copy editor, and editor for structure and style, as well as participating in collective debate and decision-making. To view the current issue and most recent short-form pieces, visit http://jitpedagogy.org. And please don’t miss my teaching and writing: those are ongoing projects, too!